Finding a language exchange partner is the first step to getting truly conversational in Chinese. And perhaps the first step to building a lasting friendship. Who doesn’t want someone to hang out with while traveling through China? Whether you meet with your language partner online or in person—or both!—there’s no substitute for the repeated feedback on your Chinese that they’ll give you. Without someone telling you when you’ve made a mistake, it’s hard to improve. You won’t get much individual attention in a traditional classroom—or when learning online—and Mandarin Chinese tutors can get expensive fast. A Chinese language partner solves both of these problems. With a language exchange partner, you help them practice your native language for a given amount of time, then they practice Chinese with you in exchange. You both learn. No money changes hands. 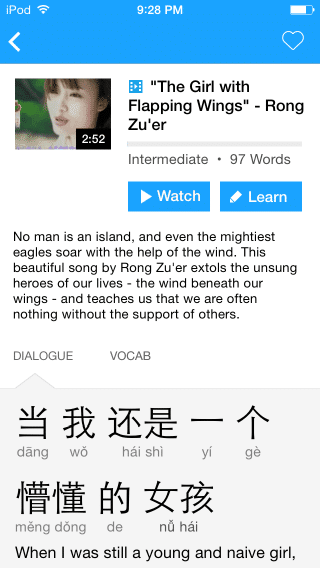 Why Get a Chinese Language Partner? 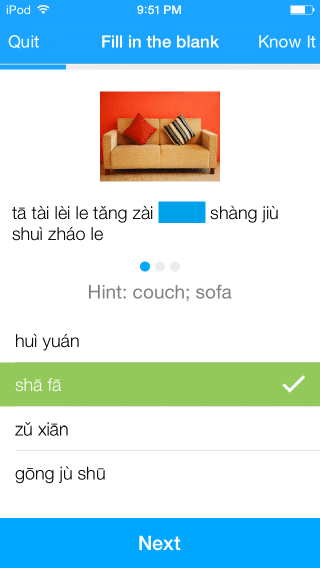 A Chinese language partner will give you individualized feedback that’s just impossible in a regular group class. Do you need to be drilled on tones or other hairy pronunciation issues? A language partner can repeat a pronunciation exercise with you for 20 minutes until you get it right. Or you can just get in more speaking practice, and they can inject to give you minor corrections while you speak. Language partners are extremely cost-effective. It’s hard to get a better price (free, or the price of a coffee or meal if you meet in a restaurant). Yet they can really help your linguistic and cultural knowledge skyrocket, and they’ll help you build confidence with your language skills in general. You approach a Chinese language partner as equals, and your relationship is much more likely to develop into a friendship than, for example, that between a student and private tutor. Even if you don’t become friends with your Chinese language partner, they can serve as a cultural navigator. If there’s an interaction you had recently that baffled you for non-language-related reasons (assuming you’re in China or Taiwan), ask your language partner. He or she is probably the best person to explain if there are cultural reasons behind it. This role can be extremely valuable. The good news? There are probably more Chinese speakers looking for an English language partner than vice versa. So the numbers are on your side, especially if you’re in China. The first time I went to China, students at the university I was taking a course at would approach any Western-looking people and ask them to be their language partners. It was both comical and, after weeks of twice-daily requests, a little bit annoying. The point is, while abroad in China, you’ll have no issues making friends and securing a language exchange partner. italki. This site that specializes in language tutoring by Skype also has a place to look for a language partner. The assumption with language partners you find on italki is that the exchange will happen by Skype, not in person. One advantage of italki is that many professional language teachers are signed up to find a language partner, so you might end up with a professional teacher as your language partner! Universities. If you’re in China, try asking around at a university and/or connecting with someone who teaches English at a university to connect you with students who would be interested in a language exchange. If you’re not in China, reach out to the international student affairs office at local universities and ask to put up a notice that you’re looking for a Chinese language partner. General classified ad sites. I’ve had good luck finding language partners by posting a notice in the skill swap section on Craigslist. If you’re in China, you might want to try local classified ad sites like ganji.com or 58.com. The way a language exchange works, you spend half the time practicing your target language (Mandarin Chinese) and half the time practicing your partner’s target language (English, or another language you speak natively). Absolutely 100% of your portion of the language exchange should be in Chinese. When you’re spending time practicing Chinese, don’t switch back to English at all. The strength of language exchanges is that you get time to talk and to be corrected. That doesn’t work if your language partner is spending a lot of time explaining things in English, or if you switch back to English to say something. You should do all of your talking in Chinese, and you should expect your language partner to speak in Chinese during the Chinese portion of the exchange. If your language skills are mismatched, especially if your Chinese is weaker than your language partner’s English, this can be difficult. It’s awfully tempting to lean on English in this situation, but sticking with Chinese is crucial to making the exchange work for you. During the Chinese time, you should be doing around 80% of the talking. It should be like a conversation that you’re dominating, with your language partner asking questions to encourage you to continue speaking. Of course, your language partner should also be answering you and be interrupting you to make corrections. But he or she shouldn’t be doing most of the talking. Pronunciation is a great thing to focus on. Have your language partner stop you every time you make a pronunciation error, although you’ll have to decide how sensitive you’d like him or her to be. You don’t want to be interrupted after every word. Your language partner can’t necessarily explain linguistic details, like all of the uses of 了 (le). If you expect them to be able to do so, or to be able to explain any other Chinese grammar in-depth, you’ll be disappointed. Even worse, you’ll likely get incorrect information. Your language partner’s relationship to Chinese is very different from a language learner’s relationship, and he or she probably can’t articulate why something is correct. You’ll find yourself in the same situation when asked questions about English—you might know how to say something that sounds correct and natural in English, but you don’t know why it sounds natural or what grammatical rule you’re following. If you insist, your language partner will think about it and say something that makes sense to him or her. That doesn’t mean it’s actually a correct explanation. Focus on speaking and pronunciation. Devote your energy to fluency. Try to get into a natural rhythm while speaking and make the conversation flow well. Parrot back pronunciation. Repeat a word to your partner, and ask if you sound native. Repeat entire sentences back to them to confirm the information was heard and understood correctly. Ask your language partner to explain ideas to you in different ways if you can’t understand the vocabulary—forget the dictionary! Ask your language partner to use words and phrases in example sentences. Prepare a short text to read out loud with your language partner and then discuss. Ideally this would be a text about something that interests you. Choose something fun from a magazine, newspaper or comic book—and make sure it’s brief so you don’t spend all your language exchange time reading out loud. Look up some pronunciation drills for sounds that you don’t feel confident pronouncing/saying. Do the drills with your language partner. Prepare a five-minute speech to give to your language partner. Have a study session afterwards where you write down everything you learned or look up the vocabulary that you were missing. The best general topic for your language exchange time is Chinese culture. Not only is your language exchange partner a great resource, but because your relationship is one of equals it’s much easier to ask questions that are crucial but might be embarrassing or just awkward. Let’s face it. When you’re learning about a new culture, there are a lot of awkward moments. It’s much easier to ask your language partner for an explanation than to ask your teacher in a class with 20 students. Meeting with a Chinese language partner is a laid-back way to both improve your language skills and improve your cultural awareness. And it’s free! 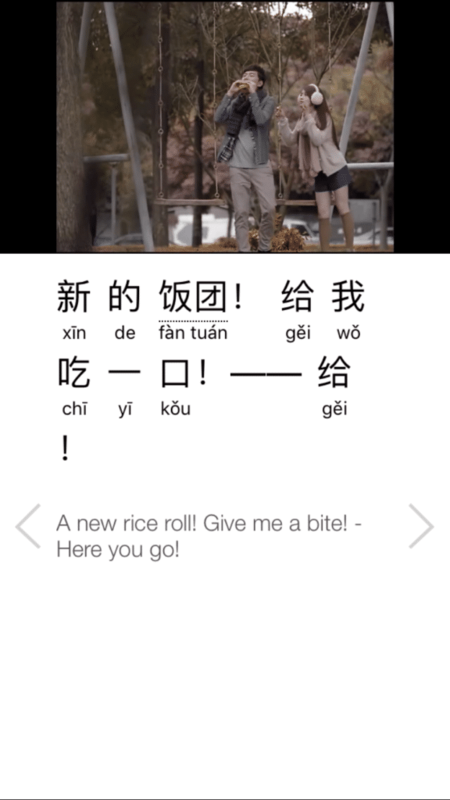 Now you have all the resources you need to jump in and get a Chinese language partner without delay.